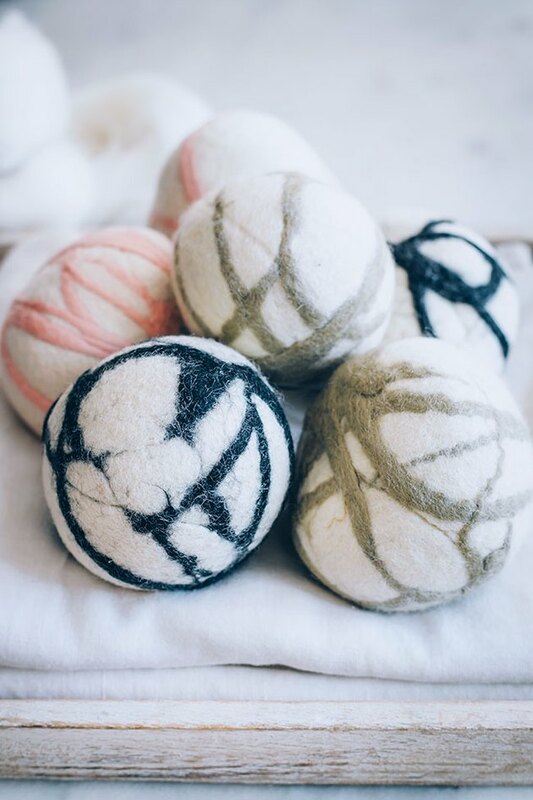 What are wool dryer balls, you ask? For us, they're laundry must-haves: Throw them in with a load of wet clothes and they can help reduce drying time by up to half, they soften fabrics, and reduce static cling as well as wrinkles. It's a win-win: You'll stop spending money on dryer sheets (and eliminate that extra waste) as well as cut down on energy costs. 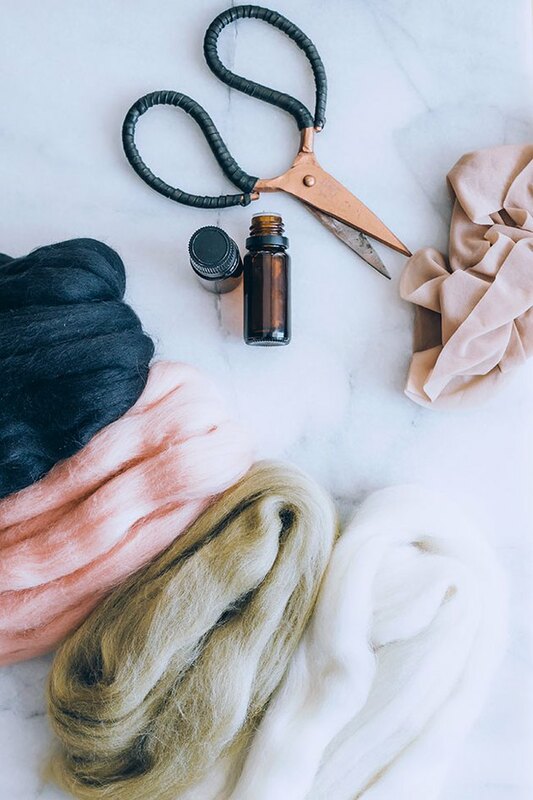 For this easy DIY, you'll use a process called felting where natural wool fibers fuse together. 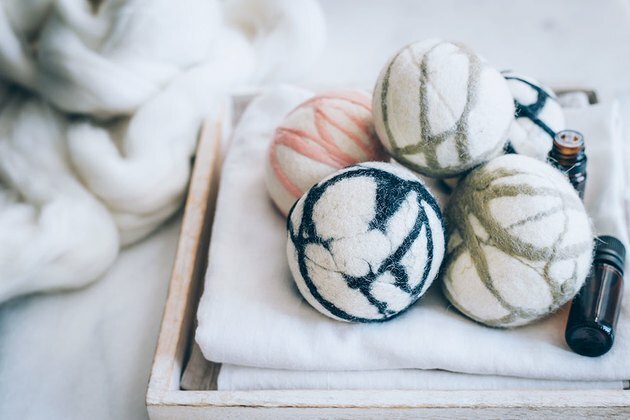 In no time, you'll have hypo-allergenic, non-toxic felted wool dryer balls that will last for years. Wool yarn or roving for accent colors. Avoid machine washable wool; it won't felt properly. 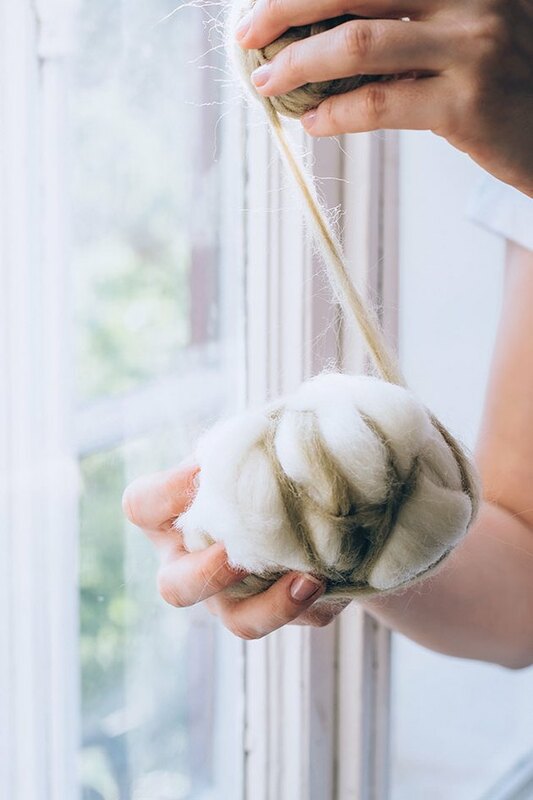 Take a 2 to 4 ounce piece of wool roving and wrap it into a large, tight ball. 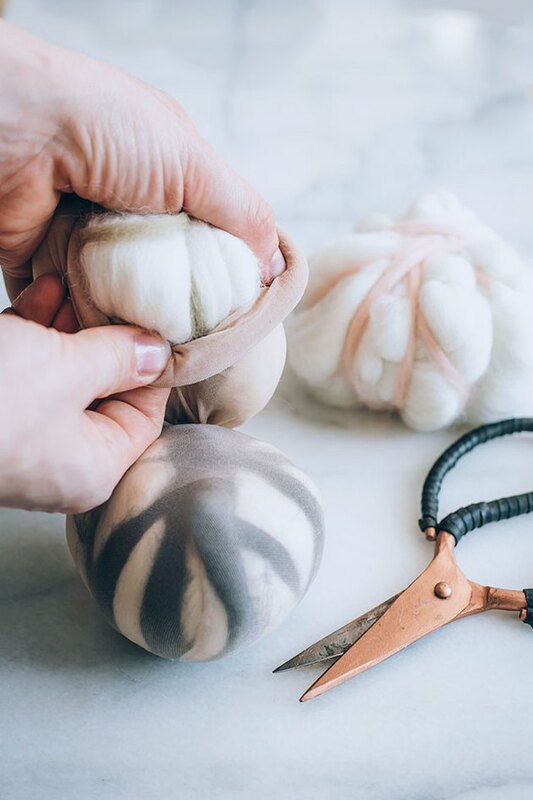 To hold the wool roving together and add a bit of color, wrap a piece of wool yarn or roving tightly around the large roving ball. 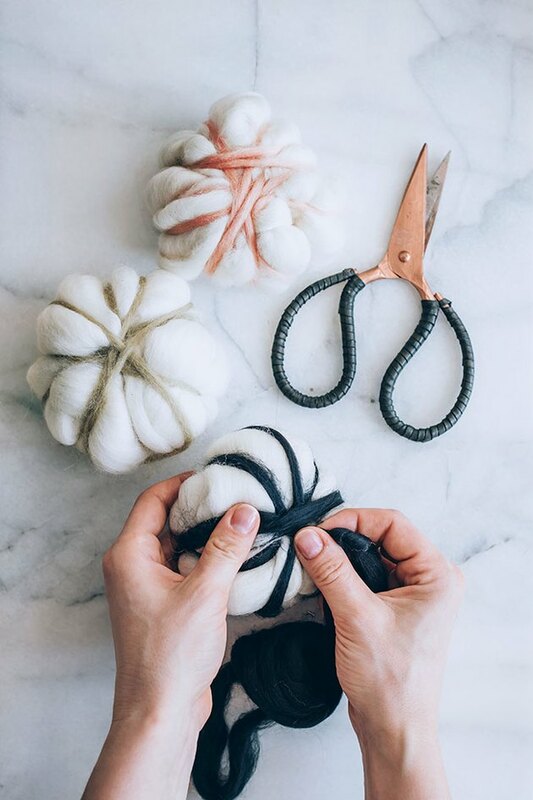 Tuck the ends into the wool roving ball when done wrapping. Grab a pair of pantyhose and cut off one of the leg parts. Put one ball in and knot the pantyhose just above the ball. Add another ball and knot again. Keep going until all of the balls are tied in the pantyhose. Wash the pantyhose and balls in hot water and put them in the dryer on high heat. (You can add them to a load of laundry if you want.) Do this three times. The heat produces the process of felting where the wool fibers fuse together. If the balls don't look fused, repeat the wash and dry cycle again. To use, throw the dryer balls into the dryer with wet clothes. Use at least three to five dryer balls for a full load. If the balls no longer combat static cling, send them through a wash cycle again for a refresh. 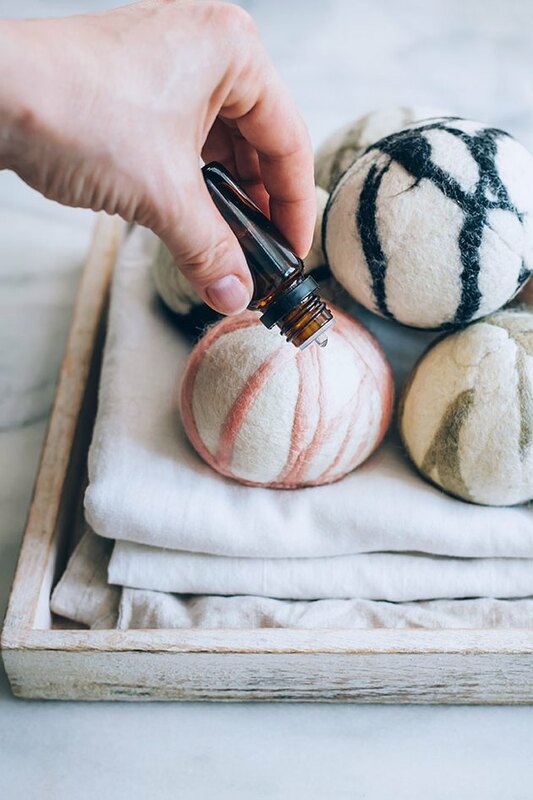 To scent your laundry, dab a couple drops of essential oil like lavender, lemon, or orange on two to three balls. Air-dry them for an hour or run them alone in your dryer for three to five minutes before adding wet laundry. 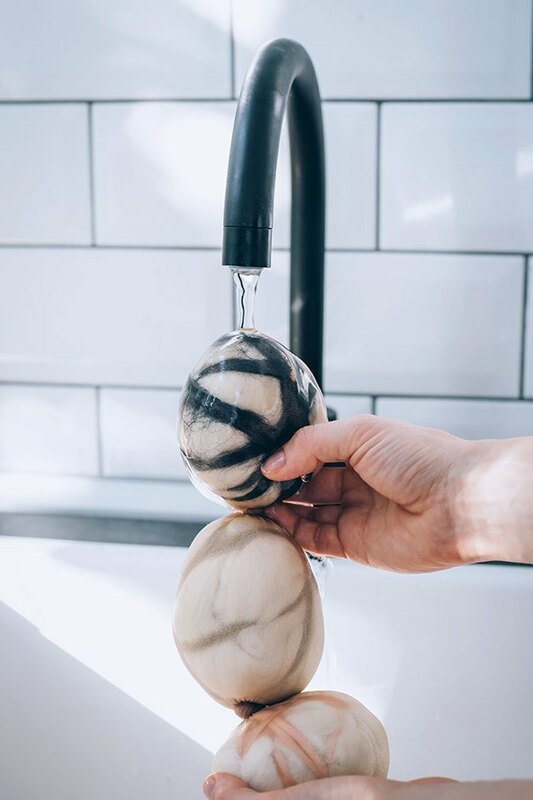 If you're worried about the oil staining your clothes, you can inject the oil into the center of the ball by using a meat injector or syringe. That way the dryer heat distributes the scent, but no oil will come in direct contact with your laundry. Add more scent every three to five loads, or as needed.